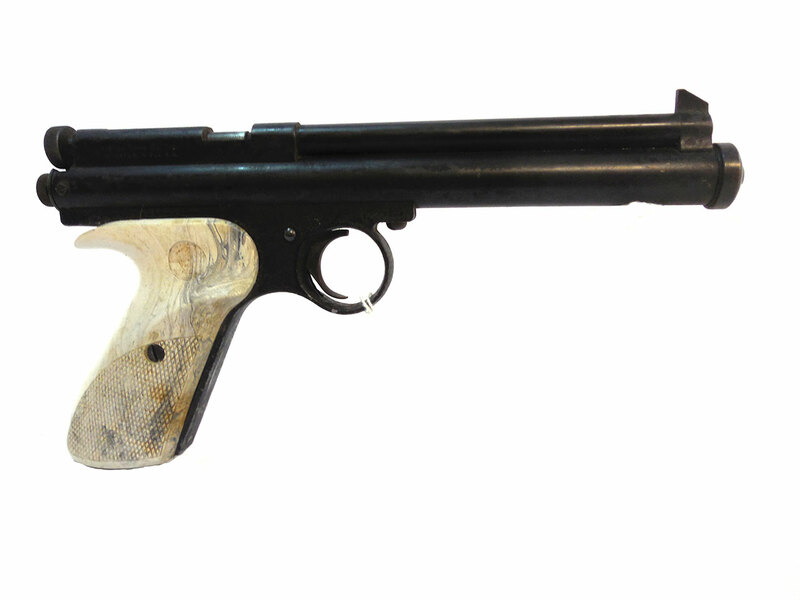 This Crosman Model 116 is a precharged CO2 .22 caliber pistol. It has a 6″ barrel and was manufactured between 1951-1954. 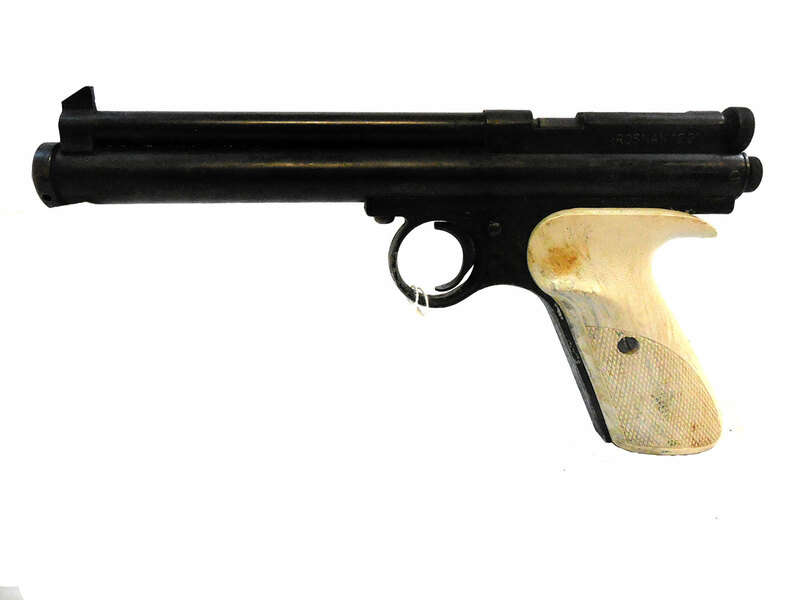 This pistol is not in working condition, however the metal retains about 90% of it’s original finish, and the grip has a few small cracks.